Sometimes your shipping platform or the settings on your application results in prints that are off center or cut-off. 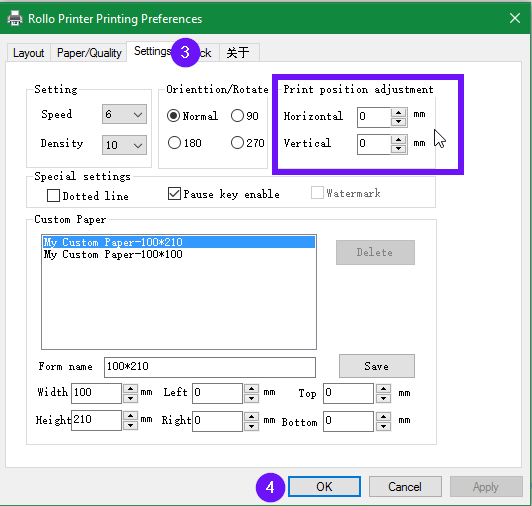 You can adjust these margins and define new paper sizes by right clicking on "Rollo Printer" and choosing "Printer Preferences"
Click on "Settings" and adjust the margins as desired. You may need to do some trial and error to find the perfect combination. You may enter both negative and positive values. 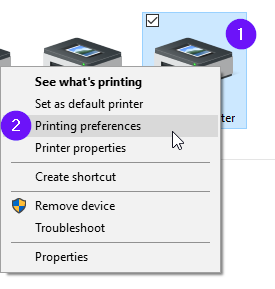 Click on "Apply" or "OK" to send these settings to the printer for your next print.